Good day, hope everyone is all well and okay. Today I thought that I should share with you some skincare products that I have been testing out. Skincare for me was something I used to not think big off for a while till I began having blackheads and blemishes cause of the soap that I was using back then. Ever since I began using cleansers and then later on incorporating toners and serums I see great results on my skin. A good skin care routine for me is one that won't break your budget too much because we know how expensive some products can be, and one that won't make you feel uncomfortable doing. FYI: I would say that my skin is 80% dry skin and the rest well I really don't know cause I would breakout and have blackheads on some areas. My skincare routine is mostly basic I cleanse, tone and moisturise on the daily, and lately I'm into scrubbing, seruming and musking (lol I don't thing the words seruming and musking exists). Do whatever you feel comfortable if spending R700 bucks on a serum works for you its okay by all means do as skincare routine are different for everyone. 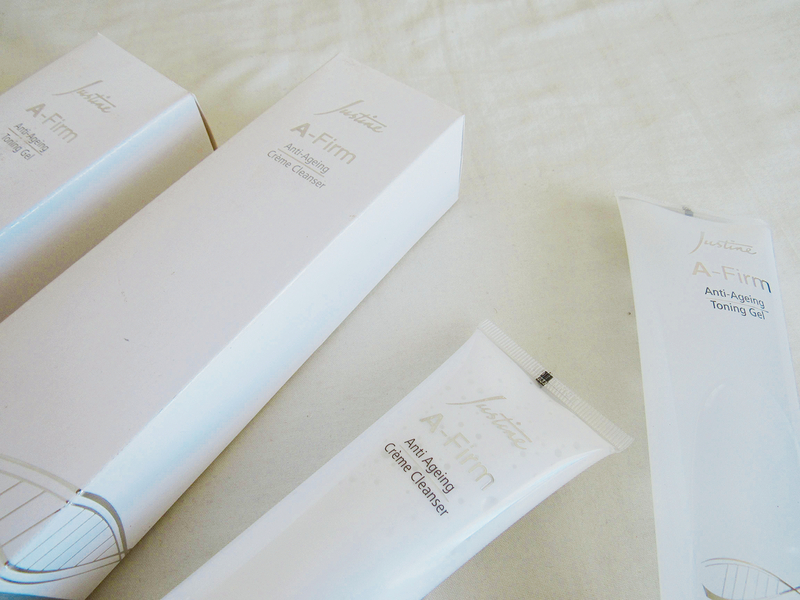 Today I'm sharing the *Justine A-firm Cleaning and Toning Gel, been using them for two weeks now and I must say that these products are dry skin friendly. The creme cleanser is just that creamy and does not leave your skin feeling dry and ashy but it leaves my skin feeling moisturised, I really don't know how did they manage to do that. Same with the toning gel, after use it also does not leave my skin feeling ashy afterwards.